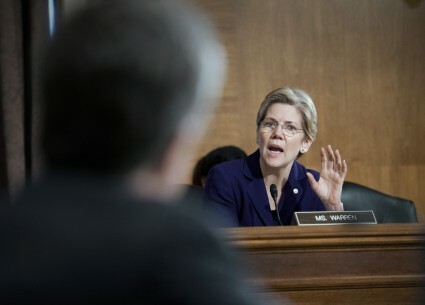 Freshman Senator and 2016 frontrunner Elizabeth Warren (D., Mass.) has written a memoir. 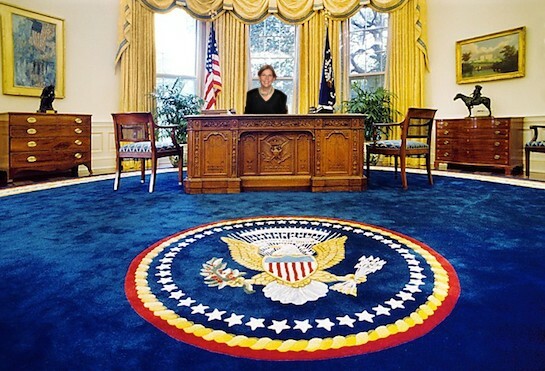 The book documents her rise from humble beginnings, her tireless efforts to establish the Consumer Financial Protection Bureau, and the internal struggles of someone who never really wanted to come to Washington, D.C., and get involved with politics, but who nevertheless has found it hard to quit the nation’s capital. 1. She knows how to stump. I will be grateful to my mother and daddy until the day I die. They worked hard—really hard—to help my brothers and me get along. But we also succeeded, at least in part, because we were lucky enough to grow up in an America that invested in kids like us and helped build a future where we could flourish. No one is asking for a handout [check]. All we want is a country where everyone pays a fair share [CHECK], a country where we build opportunities for all of us; a country where everyone plays by the same rules and everyone is held accountable. And we have begun to fight for it. I believe in us. I believe in what we can do together, in what we will do together [foreshadowing?]. All we need is a fighting chance. Today the game is rigged—rigged to work for those who have money and power. Big corporations hire armies of lobbyists to get billion-dollar loopholes into the tax system and persuade their friends in Congress to support laws that keep the playing field titled in their favor. Meanwhile, hardworking families are told that they’ll just have to live with smaller dreams for their children. So it's no surprise that seven of the 10 richest counties in the United States are in the Washington, D.C., area. Revolving-door lobbyists and government contractors are living the high life in McLean, Georgetown, and Great Falls. The game is rigged, and conservatives can point out that the chief game rigger is government. The tax code is convoluted, regulations are terrifying, big businesses that fail get bailed out while small entrepreneurs get crushed by bureaucracy. 3. She's a tough professor who has no patience for "knuckleheads." One early spring morning in the mid-1980s, a shocking rumor floated around the UT faculty lounge: There had been a total of seven failing grades handed out in the preceding term, and they had all come from one professor. I didn’t say anything, but I knew who the professor was. I’d taught two large classes, and a few knuckleheads had thought they could skate through without working hard. They had miscalculated. In fact, exactly seven of them had miscalculated. 4. She has a dark side. I glanced over and noticed with satisfaction that the veins in his neck were throbbing and his face was red and sweating. I wondered briefly whether he might have a stroke right there on the small stage. It was not a nice thought for a suburban mom who tended roses and dutifully brought chocolate-oatmeal cookies to every church bake sale. 5. 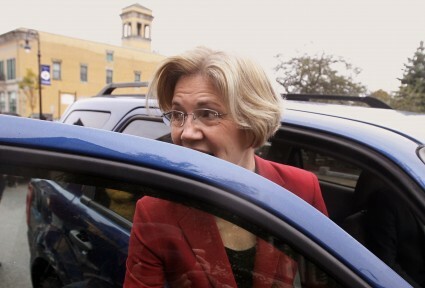 Don’t take a road trip with Elizabeth Warren. A year or so after we moved back to Philadelphia, Bruce and I were driving somewhere one spring day when an interview with a bank spokesman came on the radio. The guy was railing about deadbeats who took advantage of everyone else by filing for bankruptcy. I was furious. After the interview ended, I railed right back, rebutting everything the spokesman had said. The farther we drove, the more I argued into the empty air. 6. Harry Reid is awkward. …the phone rang. My caller was a soft-spoken man who identified himself as "Harry Reid." I could barely hear him. "Who?" I asked. "Um, Harry Reid." Pause. "Majority leader, US Senate." 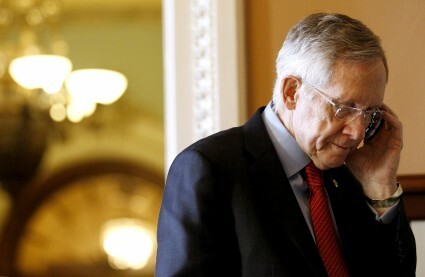 Senator Reid got right to the point—no "how are you," small talk. The country was in a crisis, and he wanted me to come to Washington [to lead a TARP oversight body with almost no actual power]. 7. She barfed before her first appearance on The Daily Show. It was early evening. I was standing in the tiny guest bathroom near the set of The Daily Show with Jon Stewart. I glanced nervously at the front of my jacket to see if it was clean. 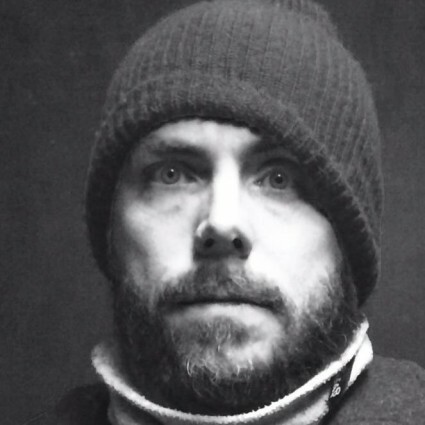 I examined my face closely in the mirror, specifically my mouth, nose, and chin. I had just vomited. 8. Jon Stewart went out of his way to help Warren’s career. 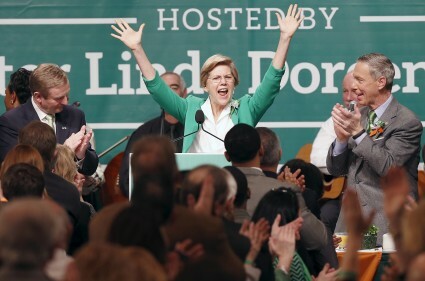 After the initial interview didn’t go as well as Warren would've liked, Stewart brushed off time constraints and insisted his producers continue the interview to give Warren more time deliver her "important message." As I started to bolt out of my chair, Stewart grabbed my forearm and said something like "You wanted to deliver an important message here, and you didn’t get to it. If I gave you once sentence, what would you tell people?" We looked hard at each other again, our heads inches apart, and then I told him what I really thought. He said, "Okay, hold on." By now, we were well into the commercial break, and the stage director came over to hustle me off the set. Stewart said, "No, she stays." The manager said, "No, we’re out of time." Each repeated their statements with a little more intensity; then Stewart insisted with the air of The Boss: "She stays. I know how we can make room." Stewart let Warren say her piece, and responded by saying: "That is the first time in six months to a year that I felt better." 9. George W. Bush’s secret service detail had a sense of humor. The meeting took place in the big conference room on the eight floor. I’d never been there, but [ALF-CIO counsel] Damon [Silvers] had told me about it. 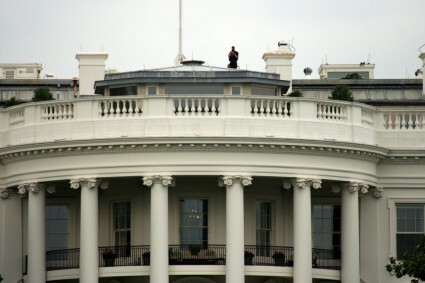 The room had a balcony that looked out on the White House. During the Bush years, the AFL-CIO had been sternly cautioned that no one should step on the balcony or the sharpshooters might fire at them. So far, no one in the Obama White House had issued the same warning [emphasis added]. 10. 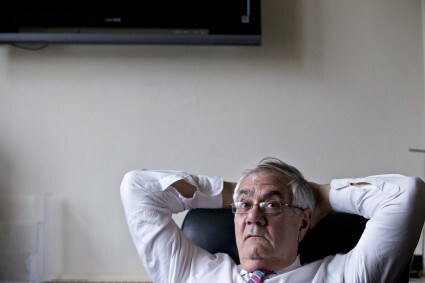 Barney Frank’s apartment is a magical place. …He sat me down with my back wedged up next to the refrigerator, then jumped right in. It was a fruitful meeting, as Warren later explains. "Somewhere in that conversation, we stopped being Congressman Frank and Professor Warren. From that day on, it was Barney and Elizabeth." Others may recall it, but I had no idea this was a thing that actually happened until I read about it in Warren's book. Funny or Die, a comedy website that occasionally allows sitting (Democratic) presidents to self-advertise in softball fake interview segments of dubious comedic value, made a video in March 2010 urging President Obama to "grow a pair" and establish a consumer protection agency (Warren’s coveted CFPB). Renowned composer Hans Zimmer and writer-director James Brooks were apparently the driving force behind Hollywood’s effort to garner public support for the CFPB. A boatload of other celebs took part. Happy Days star Ron Howard directed the bit, which featured cameos from all the Saturday Night Live stars who have portrayed U.S. presidents: Will Ferrell (George W. Bush), Darrell Hammond (Bill Clinton) Dana Carvey (George H.W. Bush), Dan Aykroyd (Jimmy Carter), Chevy Chase (Gerald Ford), and Fred Armisen (Barack Obama). But it was Jim Carrey who stole the show, in Warren’s telling, for "starring as the ghost of Ronald Reagan and strutting around the set with an oversized paid of steel balls clanking in his pants." 13. 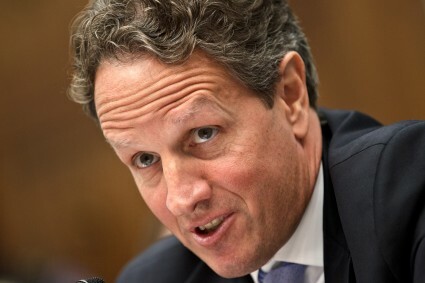 Tim Geithner is a bo$$. I had put on my seat belt before the car pulled out of the Treasury encampment, but as we sped along I noticed that the secretary was still unbelted. Like a bossy (!!!) third-grade teacher, I looked at him and said, "Put on your seat belt, Mr. Secretary." Like a naughty kid, he looked back and said, "I don’t have to." He didn’t put on his seat belt all the way to the restaurant. 14. Tim Geithner isn’t that much of a bo$$. One paragraph later: "On the drive back to the office, Secretary Geithner put on his seat belt." 15. "You are who you are." 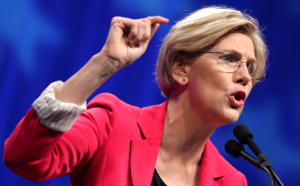 That’s Warren’s takeaway from the controversy over her alleged Native American ancestry. 16. 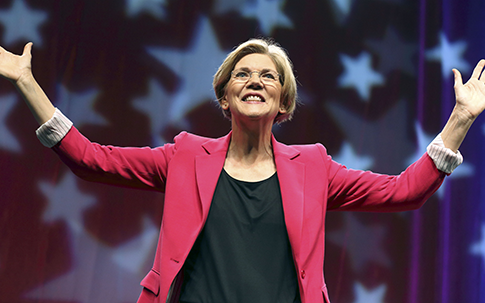 Elizabeth Warren is running for president. This entry was posted in Politics and tagged 2016 Election, Barney Frank, Democratic Party, Elizabeth Warren, Tim Geithner. Bookmark the permalink.